In the midst of Thanksgiving festivities and the highly-aniticpated Black Friday shopping, it can be hard for one to really think about what he or she is grateful for. For me, it takes a great deal of self-reflection to not only acknowledge what I'm grateful for, but to really understand why I am thankful for it in the first place. Is it because it satisfies a personal need or desire, or is it because it contributes greatly to my life and cultivates a sense of purpose within my being? I try to focus on the things that serve the latter; however, it is difficult not to be stuck in my own mind without paying attention to the external opportunities available to translate gratitude on a daily basis. Thankfully, moments of self-reflection always bring me back to my priorities and reaffirm a sense of graciousness in my outlook on life, especially in my pre-professional journey. I have been blessed in my career journey this past summer by working with middle and high school students in a classroom setting, while being surrounded by many accomplished women in the education field. I was - and still am - grateful for the experience because it fueled my desire to teach, and to even pursue a Master's and Doctorate in the near future. I realize that the thing I am most grateful for is the ability to serve others through my future career choice, because I firmly believe that education is the most fundamental element in the fruition of the whole person and who that person is going to become. In the spirit of Thanksgiving, I decided to write a guide on how to translate gratitude in your pre-professional pursuits that will also help you in your future career. Keep a positive, determined outlook. This is so incredibly important. A positive outlook can transform any negative situation into something that can shape your character in ways that will help you in the future. Instead of despairing and running straight to your fainting couch (I know, I have one too), view every rejection or missed opportunity as an experience you can learn from. Experience is the best teacher a person can have, especially in the professional world. Instead of perceiving yourself as a failure, take control of the situation and convert it into something constructive. If you feel as though you did not have a particularly awesome interview, prepare for future ones by scheduling a mock-interview with the Office of Career Services. Do what is necessary right now in order to better yourself and your future career opportunities, instead of settling for mediocrity due to a previous mistake. In the words of my grandfather, who is a 94 year old former FBI agent, "Never give up!" Your hard work and determination will pay off if you pursue your pre-professional journey in a state of gratitude, as reflected in your positivity and determination. Each day, write down three things you are thankful for. This personalized practice will consistently put what is important to you in perspective. Whether you are thankful for something as small as the yummy coffee you had this morning, or for things of pivotal significance like attending a university, it will continue to cultivate a constant state of gratitude in the many facets of your life and provide a positive shift in your perception of the career you wish to pursue. Moreover, writing down what you are grateful for at the end of each day is beneficial in times of uncertainty, because - like the aforementioned point stated - a positive outlook is what keeps us motivated, determined, and steadfast in our journey. Humble yourself. In any internship or early stage of your career, it is crucial to approach professional opportunities in the position to learn. In the process of establishing your career, it is inevitable that mistakes will happen or you will be ill-prepared for a project proposal or important meeting; however, one of the best ways to avoid mistakes is to ask the appropriate questions beforehand. If you are unsure about a certain procedure or how to do an assigned task, do not be afraid to communicate with your boss or supervisor. They would rather you ask questions now than to hear you apologizing later, and asking questions is a great way to establish yourself in the work place. A constant stream of applied inquiry will show your employers that you are engaged in your work and determined to deliver perfection. Humility is the best way to translate gratitude in the workplace, as it indicates that you are grateful for the opportunity to learn and to gain experience in your chosen career path. Be sure to thank those who helped you succeed. One of the most important things to remember is that there is no such thing as "self-made." Rather, our success in due largely in part by those who took the time to mentor, teach, guide, and help us in our pursuits. Make sure that you maintain and nurture your professional relationships by putting forth the effort to show your gratitude. It can be as simple as thanking your professor for an informative lecture, or writing a thank-you note to your interviewers. When you attend a Career Services event, make it a point to thank the speaker for their time - it could possibly be the perfect opportunity to make a new connection. Last, but certainly not least, if your parents or other relatives are supporting you while you are attending school (whether it is financially or spiritually), thank them, thank them, THANK THEM. Obtaining a college degree opens up amazing opportunities that were unavailable to you before, and they helped make it possible. This point also ties in greatly with humility, and such a disposition will translate in both your professional and personal life. Your words have power - use them. 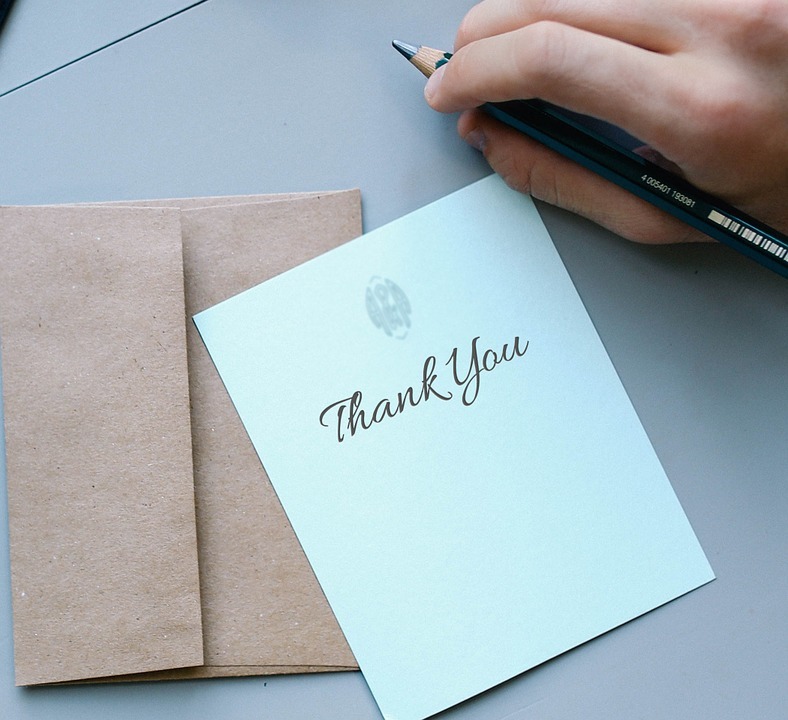 While we know by now that expressing your thanks is a huge part of professional etiquette, it comes down to how you say thank you. Keep a stack of thank-you notes in your desk (you can always find awesome stationary in Target's $1 and $3 aisle, for example) and make sure you send the card in a timely manner. Timing is everything, and it will show the recipient that they are important to you. Additionally, make the effort to tell them exactly what you're grateful to them for. For an interviewer, compose a hand-written note thanking them for the opportunity and the chance to meet them in person. For a professor who wrote you a glowing letter of recommendation, slip a card in their mailbox expressing how grateful you are for their time and how appreciative you are for their support. Even on LinkedIn, be sure to pass along your thanks for introducing you to a valuable connection. Once you implement this practice in your professional relationships, you will see how they will begin to flourish and become fruitful in your future career pursuits. Also, it enables potential employers to see you as a person who genuinely puts forth the effort to convey your gratitude, and for them to see who you truly are beyond the résumé. In any profession, these pointers on gratitude will foster a fulfilled and active engagement in your pre-professional journey and, later, your future career field. In turn, you will begin to realize that your purpose is made increasingly more apparent to you within your daily life, as you seize each opportunity to better yourself professionally and thank those around you who made such resources available. While we may have legitimate worries about our future and what career field we wish to work in post-graduation, it is nonetheless crucial to our pre-professional pursuits that we remain grateful for the resources, opportunities, and chances we receive through the reserves of our universities, networks, and previous professional experiences. In the mean time, let us make the effort to emulate and manifest a grateful nature in not only our professional lives, but in our personal lives as well. From all of us at Career Services, have a blessed, bountiful, and happy Thanksgiving season! The turkey's in the oven, the potatoes are crispy and brown, and the scent of pumpkin hangs strong in the air. 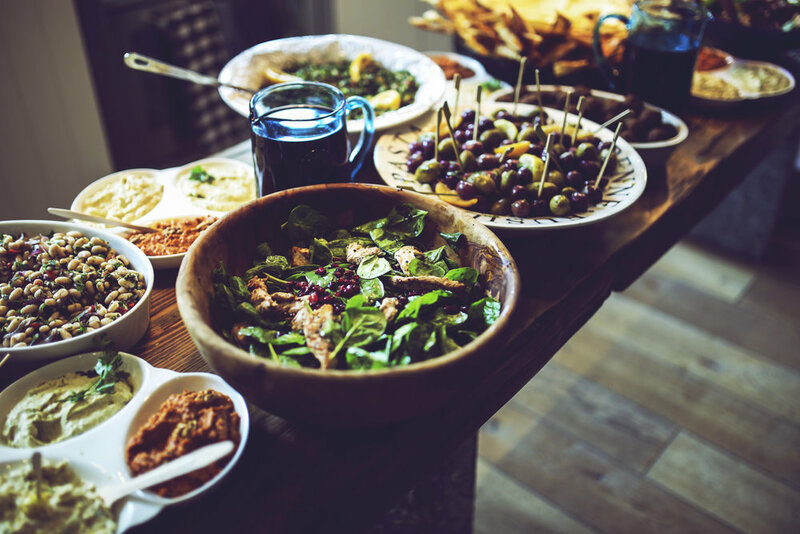 It is that season again--the time when we circle around the table with family and friends, forget our differences and grudges, and commit ourselves to one common purpose: the annihilation of the most monstrous meal of the year. By about 6pm, the turkey won't be the only thing in the house that's stuffed. Would you say that a grateful boss is more or less likely to be successful? This was the question put forth in a 2012 survey by the John Templeton Foundation, and the results were overwhelming. It turns out that 94% of women and 96% of men believed that a grateful boss is more likely to be successful. Perhaps the most interesting aspect of this result was that it was based on perception rather than on cause and effect. Simply expressing gratitude gives the appearance of success and confidence. The science of positive psychology is a a field that demonstrates the healthy effects of positive thinking, as with expressing gratitude. The results are startling, and repeatedly show that people who express gratitude are more likely to exercise, less likely to visit their doctors, have improved quality of sleep, lower blood pressure, higher energy levels, less physical pain, and could even extend their lifespan. What's more, if we push beyond thinking grateful thoughts and get to expressing gratitude, we have moved from the realm of passivity to activity. This helps us be a more decisive goal-setters and plot out tasks that we can achieve. Is it any surprise that people who are grateful tend to be happier? A common practice is to keep a gratitude journal, where one takes 5 minutes each night before bed or each morning upon waking to write down things for which they are grateful. It is a widespread practice among CEOs and entrepreneurs for increasing their happiness and self-esteem. Everyone appreciates being recognized for their work. Whether it's a kind word exchanged in the hallway or a letter of gratitude, that small "thank you" is enough to make each of us feel like we can conquer the world. I recall the story of a woman who was turned down for a job, but sent a thank you letter onto the interviewers. She expressed her deference for being given the opportunity, and spoke of her continued interest in the job if another opportunity should become available. Within months, she was contacted regarding another job opening in the same department. The woman believes her note of gratitude helped to leave a positive impression with the company, and influenced the interviewers to contact her when a new opportunity opened up. Gratitude expressed towards others influences others to be more grateful to you and those around you. 6. The world needs more of it. Very few people quibble with the idea that we should be grateful. But how often do we act on that idea? In the same survey mentioned earlier, 90% of people said they were grateful for their family, and 87% said they were grateful for their friends. But only 52% of women and 44% of men said they express gratitude on a regular basis. Surely we can do better at giving voice to our gratitude, especially in light of all the benefits it provides to us and others. Who or what are you thankful for this Thanksgiving season? Share your comments with us!